If you fancy yourself as a bit of a tech whiz, it’s good news for job seekers in Canada. Our job market experts at Adzuna HQ studied over 100,000 jobs currently advertised on Adzuna.ca paying particular attention to Canada’s top 50 startups and their hiring behavior vacancies, including location, product, and salaries. This gives us a privileged bird’s-eye view of the technology job climate in Canada. Vacancies in the technology sector are in high supply with over 18,000 vacancies at a staggering average advertised salaries of $62,397, an impressive 45% above the national average. Where are all the jobs at? The greatest concentration of technology vacancies can be found in Ontario, with 17% of the advertised job, but Newfoundland job seekers have hit the jackpot with the highest regional salary for technology jobs, paying $123,1631 per annum. Alberta and Ontario make up the 3 highest earning potential regions, with average salaries of $55,185 and $53,398 respectively. On the other side of the scale, Nova Scotia has hit hard times with one of the lowest advertised pay rates, offering job seekers merely $31,320. The top cities to head to if you’re a developing superstar is Toronto, Vancouver, and Montreal. With the boom in the number of startups in these cities, it’s no wonder the technology sector is oozing with tech vacancies. 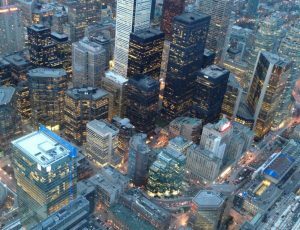 Toronto comes out top for opportunities for tech aficionados, with nearly a fifth (17%) of all technology vacancies. Coming in a close second is Vancouver with 8% of roles, while Montreal is home to 6% of Canada’s tech vacancies. Not only is Toronto rich in technology vacancies but it is also home to the majority of Canadia’s top 50 start ups, with 30% of the country’s most promising new enterprises. 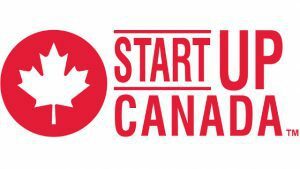 Vancouver has found 20% of the most exciting startups, while 10% of them reside in Montreal. HootSuite took the crown as the top-hiring Canadian startup with an impressive 92 current vacancies advertised in February 2017. SkipTheDishes (30 roles), Unbounce (25 vacancies), 500px (23 vacancies) and Kik Interactive (21open roles completed the list of top 5 Canadian start-up recruiters. The top hiring start-up with over 90 current advertised technology vacancies is the social media managing tool HootSuite. Other top recruiting start-ups include SkipTheDishes (30 roles), Unbounce (25 vacancies), 500px (23 vacancies) and Kik Interactive (21 roles). Tagged under: tech,	tech jobs,	tech vacancies,	tech worker,	Technology,	work in canada.